Vineyard Adventures are complimentary self-guided vineyard walks that provide Sonoma County visitors with an interactive and educational experience at seven of the region’s award-winning wineries spread across the county’s diverse American Viticulture Areas (AVA’s). Stroll along beautiful rows of grapevines while learning more about the wine in your glass. Vineyard Adventures is the perfect way to enjoy beautiful vineyard landscapes and the outdoors, while learning about winegrowing and winemaking. Each vineyard walk is individualized to showcase and educate wine lovers about that vineyard site’s specific terroir, its sustainable farming and winemaking practices, and other important aspects critical to growing and producing some of the most distinguished wines in the world. Sonoma County Winegrowers made a bold commitment to become the nation’s first 100% sustainable wine region by 2019 and these vineyard walks will help visitors better understand these important farming practices. The Sonoma Vineyards Adventures program currently includes seven tours that are free and open to the public year-round, wih two more tours scheduled to launch later this fall. Reservations are not required and guests are encouraged to visit each participating winery’s tasting room to sample their local wines and learn about the winery’s history while exploring the vineyards. At the start of each tour, guests will receive a detailed map of each vineyard, with points of interest that will be clearly marked along the route. For example, there are signs along the vineyard walk that describe various aspects of winegrowing, including how to identify grape varieties on the vines, specific sustainability farming practices such as water conservation techniques, historical information about that winegrowing region, and much more. These walks also provide numerous opportunities to capture the beauty of Sonoma County’s vineyard landscapes and share with friends and family on Social Media. After the vineyard walk, guests are encouraged to go back into the tasting room and enjoy a selection of wines, including those made with grapes sourced from vines along the Vineyard Adventures route. Tasting fees may apply. Amista Vineyards (Dry Creek Valley) – Visitors will enjoy walking the property of Amista Vineyards, learning about their premiere Dry Creek Valley sparkling wines, and other Rhone varietals such as Syrah, Grenache and Mourvédre. Guests will also see one of the largest fish and wildlife habitat restoration projects just steps away from the Tasting Room. Balletto Vineyards (Russian River Valley) – Visitors will have the opportunity to learn about the adjacent wildlife preservation, cool-climate grape varieties such as Pinot Noir and Pinot Gris and the many soil types of the Russian River Valley. Visitors will also be surprised to learn of Balletto Vineyards’ favorite pastime, baseball, as they walk the Field of Dreams on the property. Francis Ford Coppola Winery (Alexander Valley) – Visitors will learn how Francis and Eleanor Coppola have strongly supported sustainability in their own lives and their many business endeavors. Guests will walk along the creeks and rows of vineyards as they explore the ways in which this winery creates a nurturing and sustainable winegrowing production. Matanzas Creek Winery (Bennett Valley) – Visitors will revel in the diverse views of the Estate and learn about the harmonious relationship between winegrower and winemaker. Guests will also have the opportunity to walk among their famous garden featuring hundreds of beautiful Lavender flowers. Paradise Ridge Winery (Russian River Valley) – Guests will visit paradise throughout each season, learning about the sustainable vineyard practices and the many grape varieties grown. Beyond the vineyards, guests will see Marijke’s Grove, the winery’s art garden, where wooden glens and open meadows are connected by simple footpaths to create a natural outdoor gallery. Schug Carneros Estate Winery (Carneros) – Set on the hilltop at the intersection of four viticultural regions, visitors will discover the diverse property by walking through estate grown Pinot Noir and Chardonnay. Guests will also learn about the Carneros AVA’s influence of wine, water and terroir while admiring the gorgeous views of rolling hills and the San Pablo Bay. St. Francis Winery & Vineyards (Sonoma Valley) – Guests will have the opportunity to see sustainable vineyard practices in action, from the wind machines to a weather monitoring station. At the end of the vineyard adventure, guests will be able to admire St. Francis’ two-acre organic garden, where Executive Chef Bryan Jones picks fresh vegetables and herbs daily. Mauritson Wines (Dry Creek Valley) – Visitors will enjoy learning about one of Sonoma County’s oldest farming families dating back 140 years, as well as their deep roots in the Dry Creek Valley region. Guests will walk among Zinfandel vines and discover the Mauritson family’s strong commitment to sustainable agriculture and continuing their farming legacy for generations to come. La Crema (Russian River Valley) – Located in the heart of Russian River Valley, the La Crema Winery Estate sits on one of Sonoma County’s most historic and iconic vineyard properties, Saralee’s Vineyard. Visitors will discover hidden knolls overlooking the 200 Pinot Noir and Chardonnay vineyard acres, walk through exotic gardens and come across some funky landmarks that pays tribute to one of Sonoma County’s agricultural pioneers, the late Saralee McClelland Kunde. 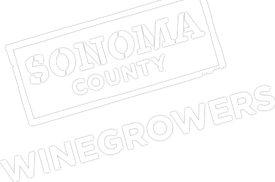 Sonoma County, California, located just 30 miles north of San Francisco, offers world-class wines from more than 425 wineries in 17 designated wine regions, cuisine featuring locally grown and artisan products, and destination resorts including 40 spas and 21 golf courses. It is the birthplace of premium California wine more than 150 years ago and home to approximately 60,000 acres planted to vines. Family heritage, community and dedication to the land are what make Sonoma County a friendly first-rate wine and food destination. For more information, please visit www.sonomavineyardadventures.com.